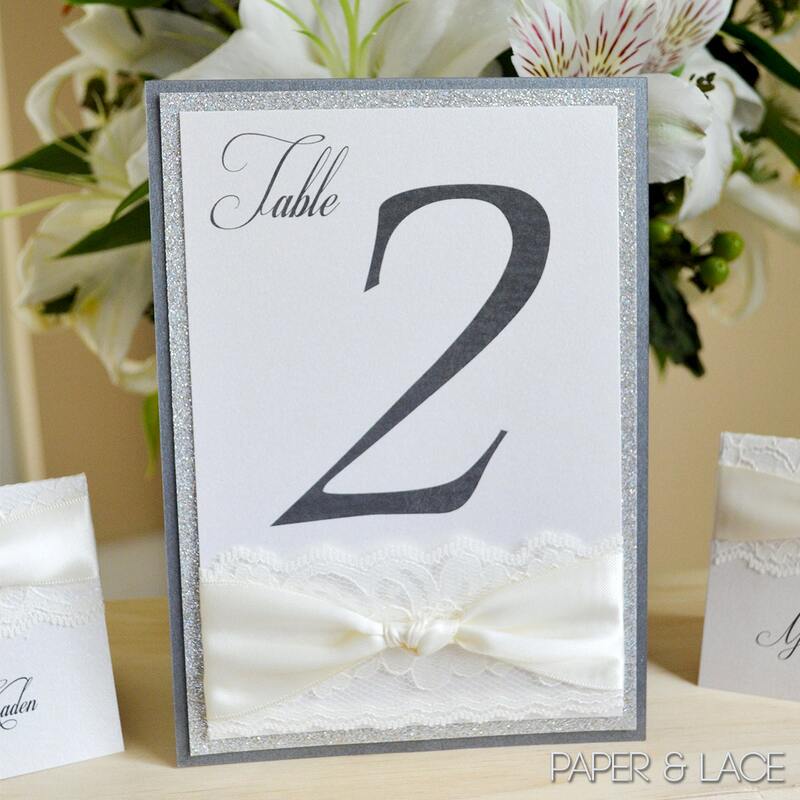 Featured in Pearlescent Metallic cardstock paper in Ivory backed in Silver Glitter & Steel Gray, then wrapped in ivory lace and ivory satin ribbon. 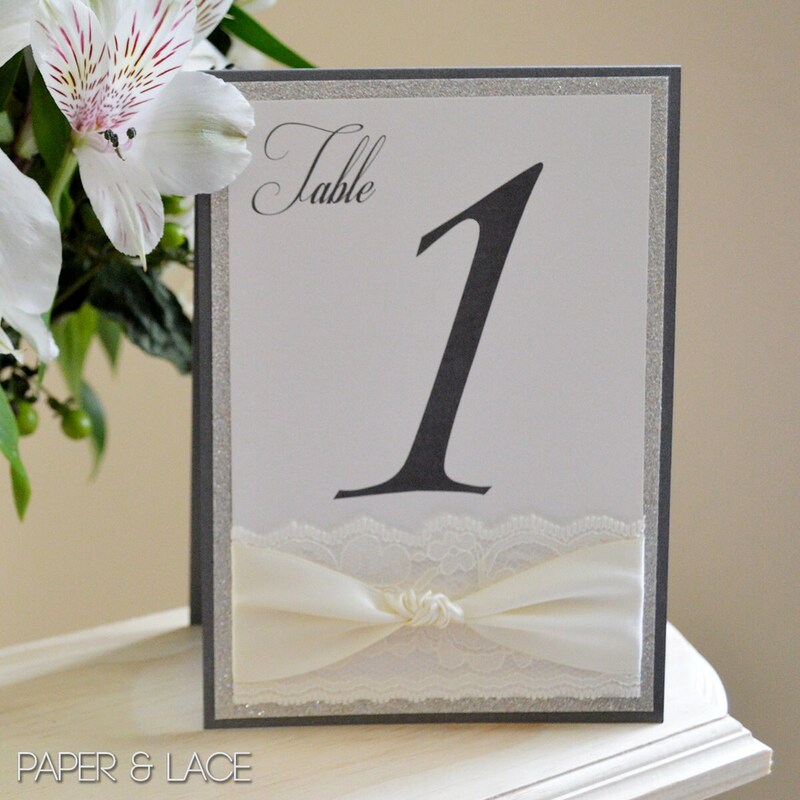 This table number can be customized to match the colors of your special event. Please message me for details.